This is just a quick post to show you how a sim visits a neighbours house. 1- It is a good idea to have a look at your active goal tab to find out what goal you need to do at a neighbours before you send anyone there, you don’t want to waste time sending an adult when a preteen needs to do the goal. They can’t see it because they aren’t seeing the most up to date version of your game, you need to connect to the cloud for them to see this version of your game. Do you have a list of Social Tasks? Yes, you can find that post here! Unsure of how to add neighbours? or Need more neighbours? or Unsure what items you need in your town for neighbours? Can’t see any neighbours in your party boat after adding to Facebook using android? 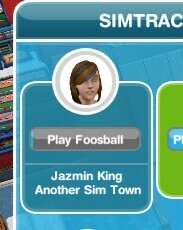 Question: Is there a way to view the relationships your sims have with different neighbors without having to go to the neighbor’s town? 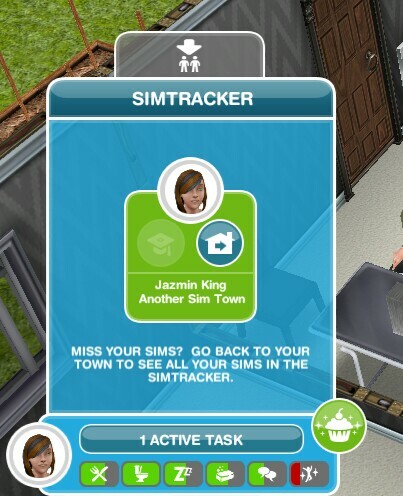 I use multiple neighbor’s towns to complete quests so I never remember what Sims have relationships in what town. When I get a task like “Bro Hug with a neighbor’s sim” I can never remember what sim and in what town has a relationship with a neighbor to complete that! Lol is there a way to see a list of all the neighbor relationships your sims have? Is it possible to tell if someone’s been in your town, ie they knocked over a trash can and left it? I can never access Party Boat (and the Cloud for that matter) – it doesn’t load up for me and I tried all the ways I could find online. Is it my tablet acting up not letting me to access PB or it’s the game’s problems? I fixed this issue by disconnecting my game from facebook and reconnecting it, have you tried that? Can i get my sims to go upstairs in another sims town? How can i practice in mirror in neighbour’s town? you need to find a neighbour who has a mirror and select the option on it. I still cant access my FB friends any solutions? How do you buy things from a neighbours house?? Some of my neighbors have 90+ residents in their towns with more than 10 people living at one house. How are they doing it? How do i add a new neighbours ? Why is my neighbor losing stats so quickly in neighbor’s town? Are there guidelines to proper etiquette when visiting a neighbor? Specifically, is there anything I may do that may mess my neighbor up, like does clicking on pets when they find things keep my neighbor from getting that bonus (or conversely, give them the bonus, too)? 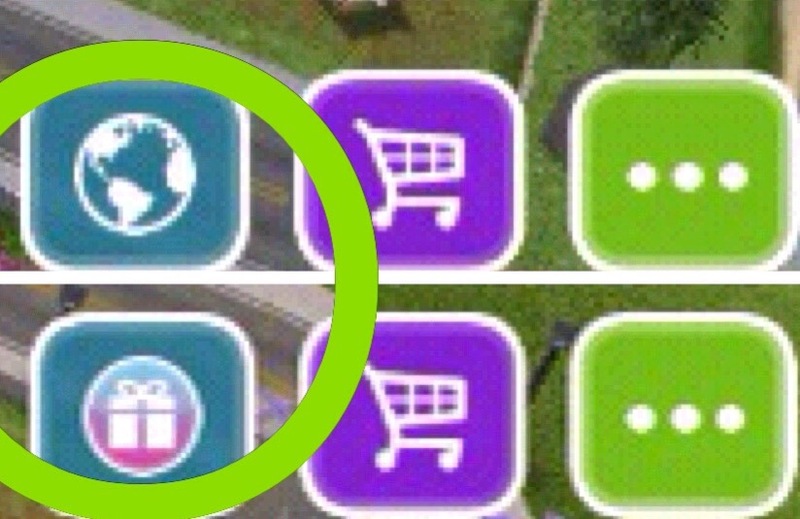 Do visitors see what I directed my Sims to do, or do they see generic activities? Meaning, if I have a Sim looking through my telescope, can a visitor still use it?